July 14th, 2013 | Faces of Wheaton. Sunday Sit-down is a bi-weekly publication highlighting individual Wheaton employees, agents and drivers and the unique talents, interests and hobbies each has. This Sunday, follow along as we feature the philanthropic work and mission trip of Luann Sauer, Tech Support at Wheaton Corporate Office. Luann Sauer looked down the bathtub drain and realized there were no pipes – just a hole leading to the ground underneath the family’s home. 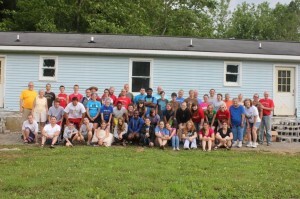 This was the first of many sobering surprises that she would encounter on her one-week mission trip to Cranks Creek, Kentucky. 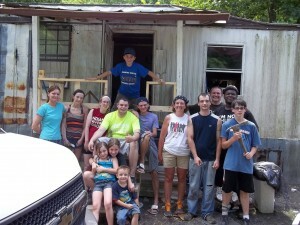 Luann was familiar with this particular mission trip, having heard about it for several years before attending, and was also aware of the great need of the Appalachian United States. She didn’t hesitate taking a week of work to serve as her church’s inaugural ambassador for what she hopes will be an annual trip. More than 70 participants joined Luann on this trip. Consisting of 20 adult supervisors and 50+ middle school-aged youth volunteers, Luann served as a team leader to a group of young adults. 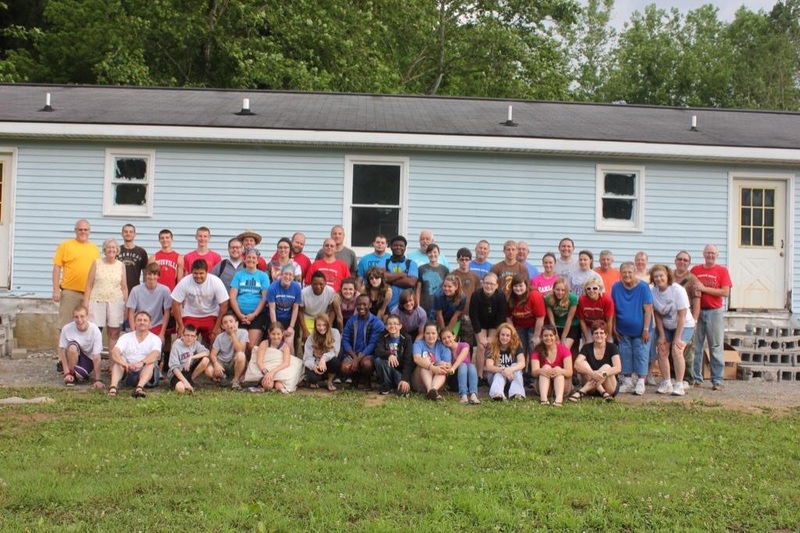 Throughout the week of service, the whole group completed projects such as replacing roofs, repairing ceilings, repainting the interior and exterior of several houses, and organizing and cleaning up rooms. Luann expected to do many of those tasks, but what she didn’t expect to do was 32 loads of laundry. “I spent the better part of a whole day doing load after load of laundry; by the end of it, I didn’t want to see another basket of clothes!” Luann said with a smile. The physical labor that the volunteers did was, of course, invaluable to the residents of Cranks Creek, but in Luann’s eyes, building relationships with the people in the community was even more of a priority. When asked what her favorite part of the week was, she said “The fellowship.” It didn’t matter that she was only in the community for one week. Luann was still able to forge a bond with the family she worked with directly. “We’re friends on Facebook and are able to keep in touch over that outlet. The three children also colored me a picture right before I left. That was a really special moment.” The evenings after the work had been completed were also a memorable time for Luann. All of the volunteers took time to debrief the day and share some of their favorite moments that happened over the course of their working hours. In addition to volunteering to attend the mission trip, Luann is also an active member of her church which is located on the Southside of Indianapolis, Ind. At her church, she is the Youth Leader, teaches Sunday school, is a point-of-contact for fundraiser organization and helps to feed neighborhood children every Wednesday night at her church. Luann has been an employee of Wheaton Van Lines since 2004, helping with tech support and other computer issues that arise in the corporate office. She is married with two children and has three Chihuahuas and one cat. Luann resides on the Southside of Indianapolis.